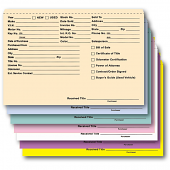 Estampe carries most widely used ADP Automotive Finance and Sales Forms at significant cost savings. We are experts in both stock and custom business forms used by ADP car and truck dealerships. If you don't find what you need, please call us at 1-866-348-6414 for a custom quote. 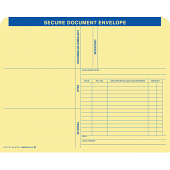 This convenient Avoid Verbal Auto Deal Order Book is a compact size book that provides a permanent written record of any verbal agreement that was made with your customer. This is very important to avoid any confusion or misunderstanding between you and your customer. Using this form will provide documented proof of any agreement. The wrap around cover allows you to write on each 2-part form without printing/writing though to the next set. These Clear Plastic Sleeves are designed, manufactured and sold to be used specifically with our Vehicle Inventory Stock Numbers. They easily slip on to the 2 integrated key tags adding extra strength to insure you never lose a key. 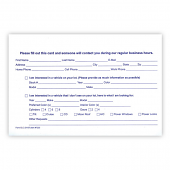 This We Owe/You Owe form is ideal for getting the customer and you on the same page. Get everything writing and avoid not getting essential paperwork or other items on a trade or when delivering a vehicle. 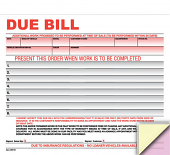 This form insures that the customers also know what they OWE YOU!